As you might know if you have followed my blog, I have been working on turning my red barn into my workshop. You can read more about the red barn project here. The problem is that there is way too much stuff in the barn that needs to be fixed, painted, distressed, re-purposed or something else. So as I plug away at the items, I recently found a vintage frame that I purchased when my sister and I went on the Longest Yard Sale a few years ago. It was awesome! Here is my finished "B" frame, but it did not look like this when I purchased it. Before and After Wednesday Feature! On Wednesday's at The Dedicated House, Kathryn features someones Before and After project. I am so excited to be this week's Before and After feature. What a great honor to have been chosen. My little yard stick stool was definitely a before and after piece. You can view the complete post at The Dedicated House. Check out the before! As I look around blogland(is that a word?) I see so many wonderful and crafty projects that convert old or discarded materials into something useful and often beautiful. I recently ran across some projects that fall into this category and I would like to share them with you. 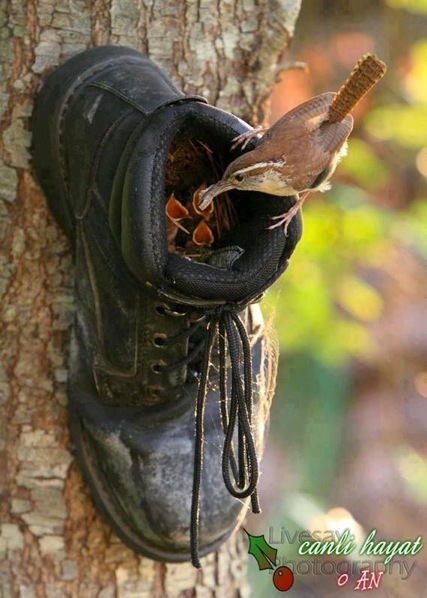 Some of them you may have upcycled yourself and others might provide new ideas. Enjoy! This first set is for the birds. Won't they like this for a house? Spring rain not only brings beautiful flowers, but livens up the trees here in southern Florida. The fruit trees have blooms and baby fruits while the flowering trees are budding profusely. One of my favorite trees right now is the magnolias. The white blooms against the dark waxy green leaves is so beautiful. I was sitting out on the deck and could smell the flowers. I had to pick some. I love all types of picture frames. There are so many things you can do with them, including using them to frame a picture. I purchased 5 of these vintage prints. I love their subject matter and the vintage characters. Her dress is fabulous and the hair. Oh! Pinterest Power - Come Join the Fun!! I am so excited to be co-hosting The Pinterest Power Party. What a wonderful way to show what you have been working on and to share your ideas on Pinterest. Please join in the fun!!! If you're a regular, thanks for coming back to link up at the Pinterest Power Party! If this is your first time, welcome! This party is to focus on YOU - the readers! We want to see your DIY projects, frugal gift idea, or delicious recipes - and we want to share them on our Pinterest boards as well!! And be sure to follow our Pinterest Power Party board - we'll be pinning each week's features as well as others that just catch our eye each week! You can follow the Pinterest Power Party board here! How do I participate? Easy! Be a Pinterest Follower of the three hosts as well as our co-hosts! It is such a pleasure to be a co-host for this weeks Share the Love blog hop. I would like to thank Natasha and Danielle for shining a light on me this weekend. Please take some time to link up to the party by sharing your media links and making new friends. Have fun my bloggy friends!! 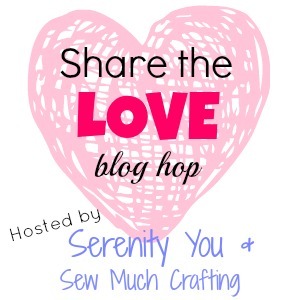 Share the Love Blog Hop is here!! Yeah!! When I found this rocking chair last year at my in-laws flea market, it was in such bad shape that they were just going to throw it out. Thinking someone might want it, they priced it at $2. Needless to say, or great for me, it didn't sell. When I lived up north, I loved to have house plants. One of the plants that I had was the peace lily. When I moved to Florida, I brought a few of my plants with me and the peace lily was one of them. I realized that instead of having this plant in the house, people here planted them in their gardens.